It is said that there are no cemeteries in San Francisco, but that is not true. In fact, ours was once a town full of cemeteries, before graveyards within city limits were banned in 1900. So here, in order to ever-so-gently spook you this Halloween season, we’ve plotted out (get it!?) where those used to be. You can see below whether your home, workplace, or child’s daycare center sits on a former graveyard. Moving caskets and bodies was a sloppy business back in the early 20th century, particularly in the wake of the 1906 earthquake and subsequent fires. Families had to pay for the bodily relocation themselves with no city assistance. Relocations were often left unfinished, and best practices were not always observed. “Entire skeletons were carried away to be used as Halloween decorations,” local historian Michael Svanevik told KQED. The above map was made with the help of John Blackett’s indispensable San Francisco Cemeteries, and details the best-guess locations of former cemeteries with black shapes. Exact dimensions of these graveyards are unknown: These are our best stabs based on small samples from the historical record. Current cemetery facilities like the Mission Dolores Cemetery, the San Francisco Columbarium, Grace Cathedral Columbarium, San Francisco National Cemetery, and the Presidio Pet Cemetery (yes, there is one) are also included on this map. Fun Fact: The San Francisco Columbarium is located on what was once the Odd Fellows Cemetery, so that's doubly creepy. 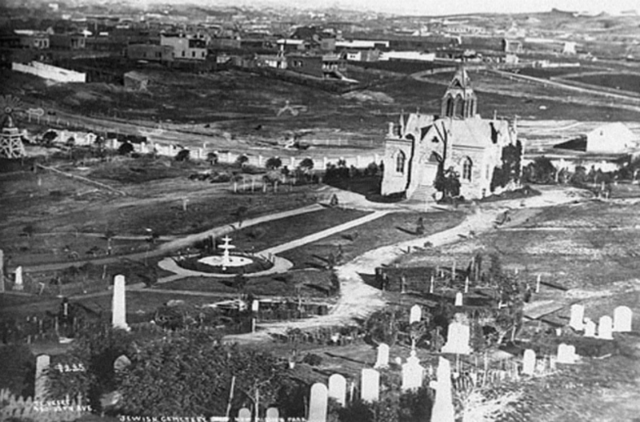 Most notably, all of Dolores Park was a Jewish cemetery from 1861 to 1888. Actually, it was two Jewish cemeteries — the northern section of the park was Gibboth Olom (Hills Of Eternity) and the southern portion was Nevai (Home of Peace). Consider that on your next Dolores Park day-drinking bender, why don't you! But not to worry, as back in the day cemeteries were far more like today's parks — places of leisure appropriate for a stroll. What we now call the Civic Center BART Station, the SF Public Library Main Branch, and the Asian Art Museum was the Yerba Buena Cemetery that held as many as 9,000 bodies and was a hotbed for grave robbing. 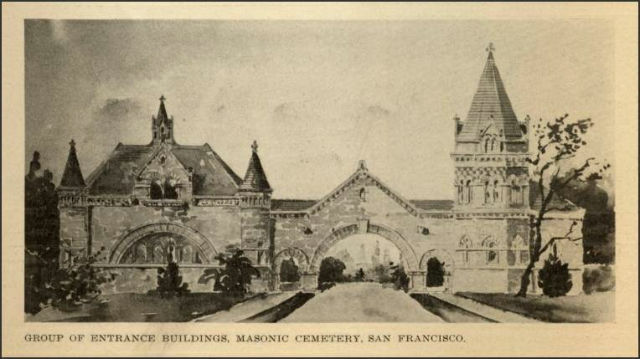 Pretty much any place near the University of San Francisco campus was a graveyard, as this area was the home of the “big four” cemeteries of the late 1800s. If you live anywhere in the area north of the Panhandle, you're probably walking past former graveyards constantly! Luxury condo complex at 300 Spear The Infinity (not that luxury condo complex) is built on a former cemetery, or at least is adjacent to what was one. Historical record is not totally clear. We do know that back in 2005 that complex’s construction workers found an 1818 whaling ship beneath the development. In many cases, they sure did. 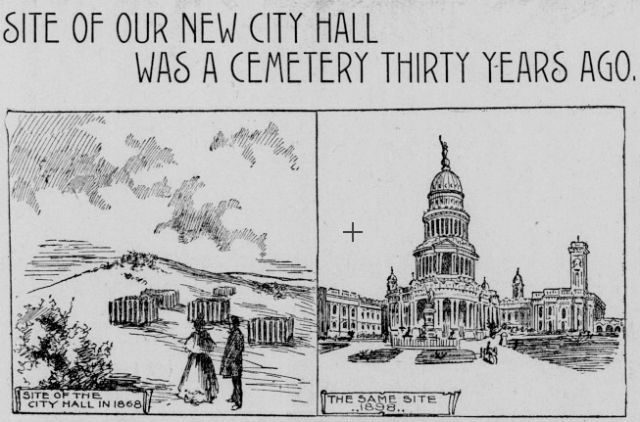 San Francisco has a long history of bodies, coffins, and human remains disinterred during excavations. The Legion Of Honor and Lincoln Park Golf Course are known to be just built on top of un-excavated cemeteries, and USF dug up a ton of coffins during a 2011 excavation. More bodies were pulled up during the construction of the San Francisco Public Library Main Branch in the 1990s and the location's conversion to the Asian Art Museum in 2001. So head down to the basement by yourself, stay in the house when you hear voices say "Get out! 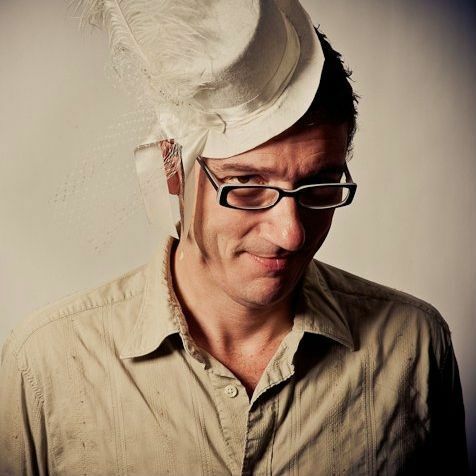 ", and by all means run in heels if any reanimated corpses start chasing you. You’ll get to know the many generations of discarded bodies and human remains that sit buried beneath you here in San Francisco, and you’ll be able to correct your friends at Halloween parties when they claim there are “no cemeteries in San Francisco."